One of the most historic places you could visit from Hoi An apart from the Old Town is the Phuoc Kieu Bronze Casting Village that was established more than 400 years ago located 25km on the way to My Son sanctuary from Hoi An. The gongs from Phuoc Kieu Bronze Casting Village. 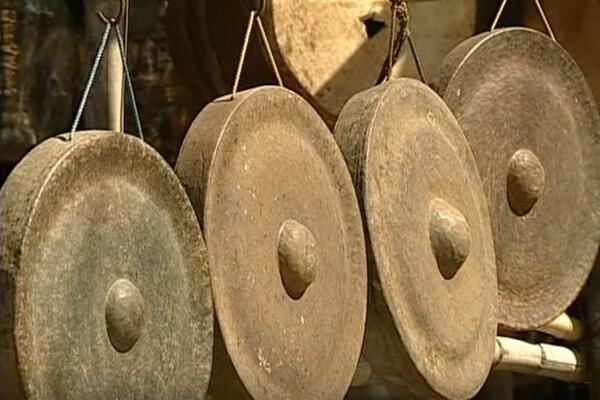 Phuoc Kieu is popular for craft the best gongs around. Aside from gongs, lamp holders, ancient vases, quality bronze musical instruments and even interior furniture crafts still been made from this historic village. 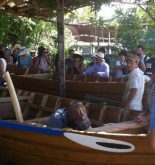 By visiting the village, you will have a chance to observe (possibly) a full experience of making a bronze craft from scratch to final product. Observing is not an only activity here, there are also bronze musical performance from the artists, participating in making casting process along with the craftsman. 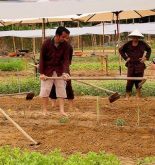 The village has been one of the top tourist attraction in Quang Nam. The casting bronze business has been existing around the country since the earliest centuries of Vietnam. 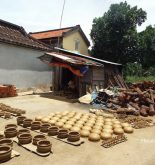 Thus, it is a quite worthy experience to visit Phuoc Kieu Village to get to known the more of the history, craftmanship of one of the oldest craft of Vietnam.